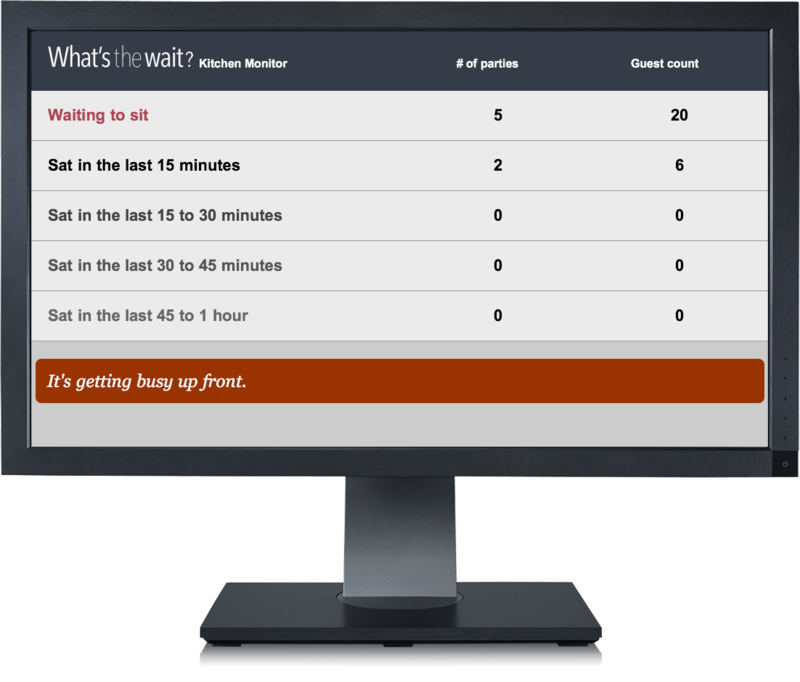 The future of wait list management, now! Our intuitive system improves the guest experience. 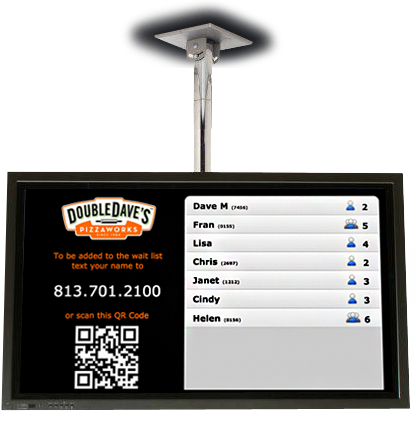 Our back-of-the-house display bridges the communication gap between FOH & BOH. Keep your cooks informed. 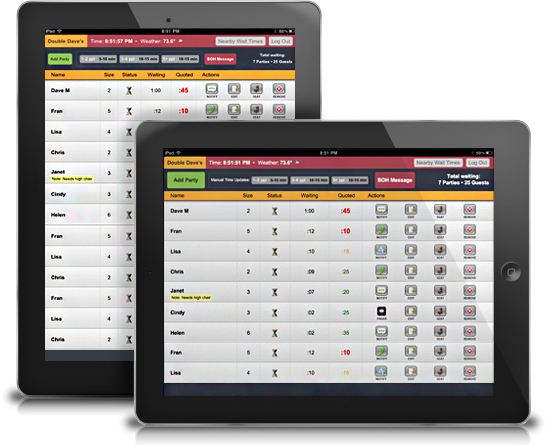 Keep guests informed of their place in line and eliminate host interruptions. Simply, the best way to manage your wait list. Restaurant partners Some of our restaurant partners that utilize What's The Wait? to attract more customers and to keep them coming back.